Port Moresby will host an international Peace Run team on Saturday 9 February for a fun and action-packed 24 hours in Papua New Guinea. 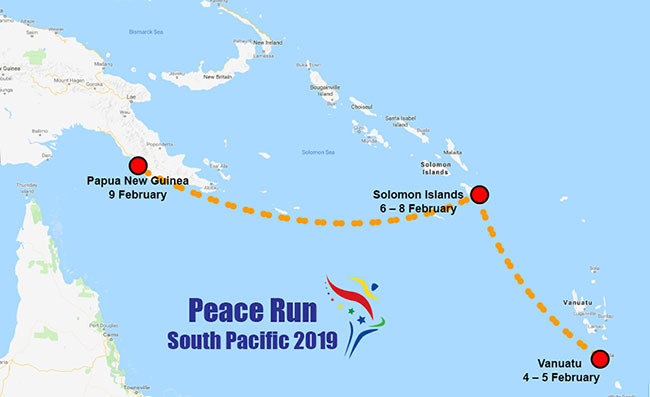 All peace-lovers and peace-dreamers – runners and non-runners alike – are warmly invited to participate in activities associated with the Peace Run’s visit to Port Moresby on Saturday 9 February. We look forward to meeting you there!